At the start of this week, Supercell shone a light on the delirious level of success it has found with its small, expertly crafted portfolio. Three mobile games, 180 employees, €848 million profit from €2.1 billion revenue, and Clash Royale drawing both plaudits and players in the US, Europe and even China. Struggle and hardship is not difficult to find in the mobile market, but Supercell is an example of potential thoroughly fulfilled. The beginning of that vertiginous rise was perfectly timed for Next Games. The Finnish mobile startup was in the midst of discussions with AMC about acquiring the rights to make a game based on The Walking Dead, a popular tv series also on the cusp of even greater success. At some point during that long chain of meetings, news broke that Softbank had acquired a majority stake in Supercell. If AMC had any serious concerns about allowing such a valuable IP to make the transition to mobile, that $1.5 billion deal laid them to rest. "AMC is smart. They understood that, if they're gonna give that licence to one company it might make sense to get a piece of the back-end as well"
"Everyone was like, 'What just happened? Are free-to-play games this big? Is that the future?'" Teemu Huuhtanen, Next Games' CEO, smiles at the memory. It was an unexpected helping hand; not the reason why AMC agreed to the deal, but a fortuitously timed new angle for the pitch. Huuhtanen had just departed Rovio, Finland's other great mobile success story, and Next Games' co-founder and CPO, Joakim Achrén, had been Supercell's director of analytics. "We were able to package that," Huuhtanen says. "Yeah, we got a bit lucky with the timing." But it was more than just timing. Next Games didn't emerge from that process with only the license to make a game based on The Walking Dead, but also a new investor. The Softbank deal piqued AMC's interest in mobile, but its meetings with Next Games helped to fill in the blanks. "I think during that process we... I don't want to say 'educated' AMC, but obviously we talked a lot about the business, and, from our perspective, where we want to take the company," Huuhtanen says. "They're extremely smart. They understood that, [if] they're gonna give that licence to one company it might make sense to get a piece of the back-end as well." When I first met with Huuhtanen at Casual Connect Europe in 2014, Next Games hadn't yet revealed the details of its new project or its new investor. Looking back, that interview was studded with veiled references to the imminent announcement, and one most of all. "A lot of companies have been...buying their users," he said. "But I think that, at the same time, they forgot that there are other ways of promoting your game. Buying customers is here to stay, but the question now is how much you want to focus on it over the other options." The Walking Dead was the other option. Having such a popular license doesn't eradicate the need to spend money to build an audience - the license itself will have cost money, after all - but it does alter the nature of the task. Every license has an existing community of fans (however big or small) clustered in various corners of the internet and social media, but not every license is right for a mobile game. Next Games' first ever corporate retreat had the express purpose of exploring and choosing which license to pursue, and Huuhtanen was surprised at how few seemed fit for purpose. Even Star Wars, then at the start of its ongoing resurgence, had its downsides, most obviously the slew of wildly variable mobile games made under or in association with its brand. "You can win the confidence of the IP holder by executing well. Do that and you'll get opportunities"
The Walking Dead, however, satisfied every demand. It was contemporary, with a highly engaged fan-base reacting to and dissecting new developments on social media platforms. It was a tv series, which was both a snug fit for the way free-to-play mobile games operate, and a tacit reassurance that nurturing and sustaining the community would be a shared responsibility. And it was also unsullied for the most part, with Robert Kirkman's comic, the tv series and Telltale's episodic games all finding commercial success and critical acclaim. According to Huuhtanen, once Next Games considered The Walking Dead, the discussion was essentially finished. Those assumptions proved accurate, and they have yielded benefits for The Walking Dead: No Man's Land that Huuhtanen can't possibly have foreseen. At the end of its third season, around the same time that Next Games was preparing its pitch for AMC, the tv series had between 9.5 million and 12.5 million viewers per episode. By season five, which ended the same year that No Man's Land launched, the series' attracted more than 17 million viewers at its height. Next Games felt the benefit of that upswing in popularity, its game advertised during an event for the season 6 premiere at a sold-out Madison Square Garden. This is, Huuhtanen argues, good fortune as a consequence of good decisions. Licensed games have a chequered reputation due to decades of substandard products, but the factors that contribute to those undesirable outcomes aren't so difficult to spot before the deal is signed. "I don't believe that you can outline all those different activities in an agreement beforehand," he says, "but you can win the confidence of the IP holder by executing well. Do that and you'll get those opportunities." "If it doesn't make sense for the fans then you're basically fucked"
Making that clear was essential to Next Games being given The Walking Dead license in the first place. The studio's goal wasn't to appeal to the same broad audience as Rovio and Supercell, or even to gamers in general. The target was fans of the show, fans of the comic, on the understanding that many of them would be willing to at least try a game, and likely to share their enthusiasm if they enjoyed what they played. "Of course, you have to think about the bigger business opportunities, and think about potentially who are your second-tier demographics," Huuhtanen says. "But if it doesn't make sense for the fans then you're basically fucked. They're gonna go to the App Store, give you one-star, and say, 'This is not The Walking Dead.'" There is evidence to back up of Huuhtanen's position in the game itself. Next Games also bought the rights to use the character of Daryl Dixon, played by the actor Norman Reedus, in the game. After paying the costs associated with The Walking Dead license, it must have been tempting to forego further expense, or to choose a more prominent character, like the series' protagonist Rick Grimes. 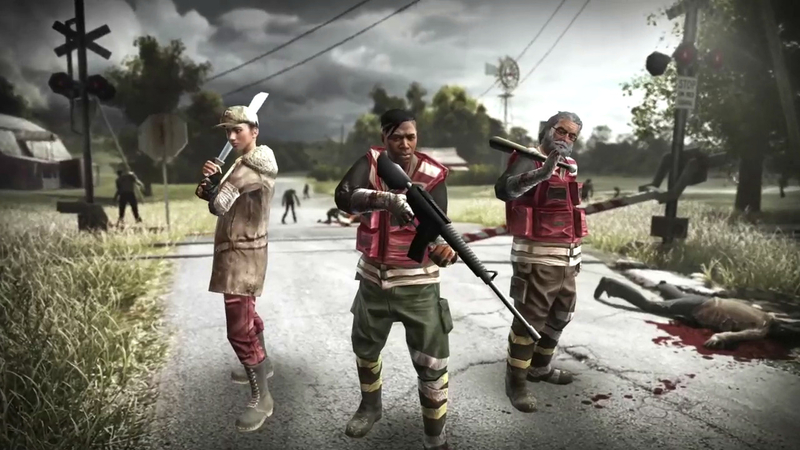 But Next Games allowed the buzz within The Walking Dead's online community to inform its decision. 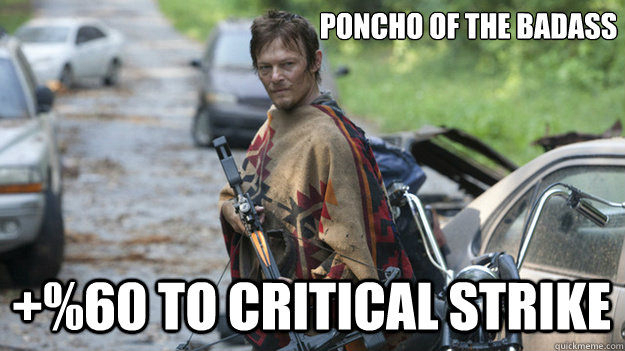 Daryl may not get the most screen time, but he sure as hell gets the most memes. The design of the game reflects the show, too. In his talk, Huuhtanen pointed out several ways in which Next Games departed from what other mobile developers might have done: the genre, turn-based strategy, was not the obvious choice for a high-profile mobile game back in 2013, and nor was the decision to make the unavoidable deaths of familiar characters an essential part of the experience. For fans of the show, however, those aspects would resonate with what they love about the IP. "The essence of The Walking Dead in one way is that people are gonna die," Huuhtanen says. "You're gonna make tough choices. You have to leave people behind. "If the game was geared towards a more casual audience, maybe we would have 30 million downloads. Would we have higher revenues? I don't know"
"If the game was maybe geared towards a more casual audience, maybe we would already have, let's say, 30 million downloads. Would we have higher revenues? I don't know." With AMC happy with at the results of the partnership, and Lionsgate also an investor in the company, Next Games would seem to be headed for a future in which its understanding of how best to select and adapt a license is all it requires to grow. But Huuhtanen seems less concerned about trying to secure the rights to, say, The Hunger Games than he is about keeping the company's creative direction in balance. A few months before it released The Walking Dead, Next Games launched an original IP, Compass Point West. It commands a smaller share of the company's resources overall, and in all likelihood contributes a smaller share of revenue, but Huuhtanen believes its value should not be measured by those metrics alone. "Yes, The Walking Dead is much bigger, but West is serving an important role as well. It's a profitable game, and it's something that we did on our own. We own it, 100 per cent. It serves a lot of purposes on top of the business reasons. Creating your own IP is important." GamesIndustry.biz is a media partner for the Casual Connect conference. Our travel and accommodation costs were provided by the organiser.